Hello everyone. My 2016 club build is almost complete. This year was quite challenging because it was time to locate and acquire some Beech wood. With the help of my new friend Pierre I was able to bring in a couple planks. Believe me, finding the right planks wasn't easy. This years build opened my eyes to some little details I was aware of, but not completely sure how to achieve. Reading a chapter from an old book gave me an understanding of how these details are achieved. Along with talking with some fellow club makers we were able to gain more understanding about club making from this time. This summer I will try to keep at least one club on the go. Summers are busy in other respects but I do have some specific clubs I want to build. The process will be slow, but I am really looking forward to it. I hope you enjoy the 2016 collection. 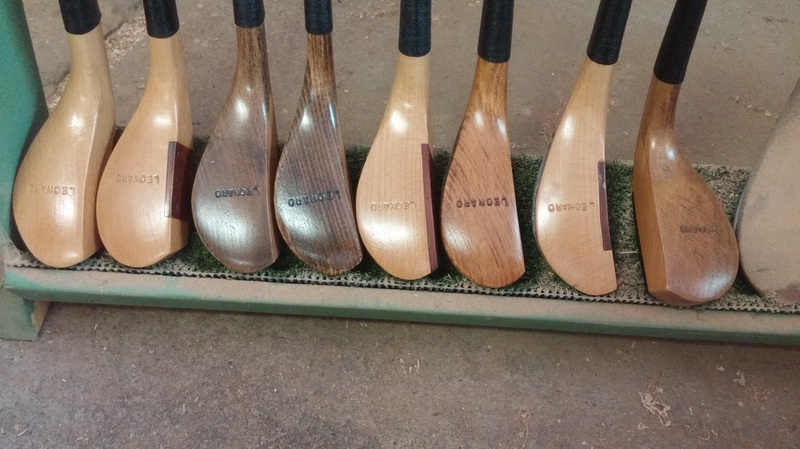 Eight clubs from the 2016 build.